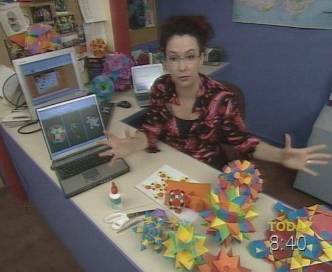 Stella and some of my polyhedron models made an appearance on television on 4 February 2003, on Australia's Today show. Their weekly I.T. 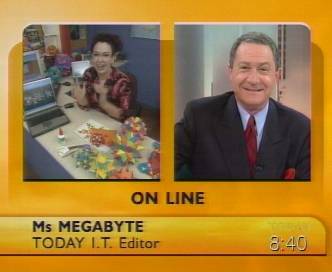 editor Ms Megabyte presented Stella while Today show presenter Steve Liebmann watched on with bemused interest.